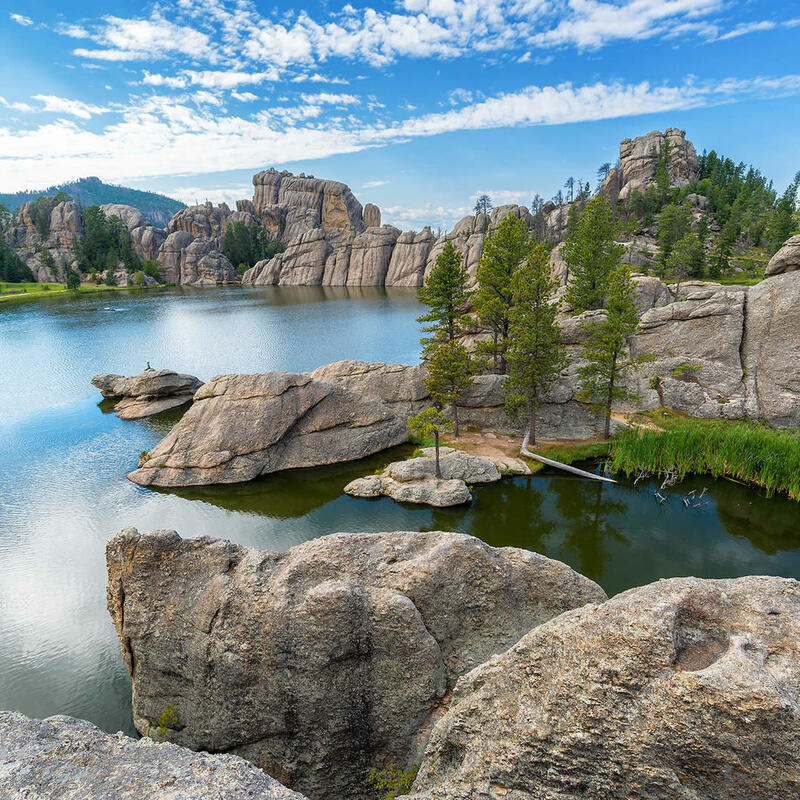 Sylvan Lake, commonly referred to as the "crown jewel" of Custer State Park, is located in the Black Hills of South Dakota. The lake was created in 1881 when a dam was built across Sunday Gulch. Activities at the lake include picnicking, rock climbing, boating, swimming, and hiking. It's also the starting point for taking an excursion to Black Elk Peak and The Needles.